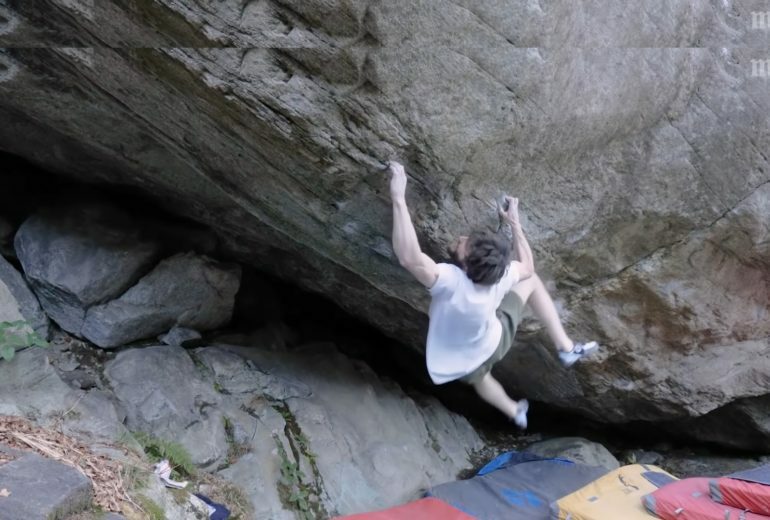 Shawn Raboutou, actuellement en Suisse a vécu une dernière semaine particulièrement magique avec tout d’abord la première ascension de “L’Oeuvre”, 8c+ ou 9a selon lui, sur le site de Bouddha au dessus de Martigny. 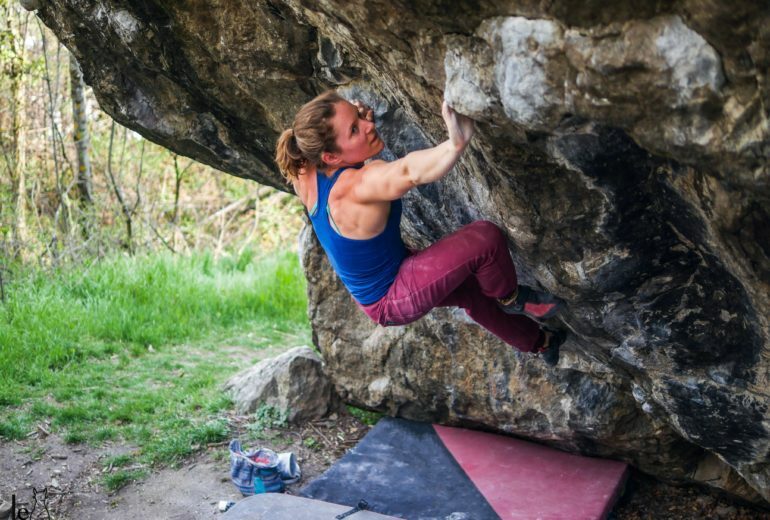 La voie propose un furieux crux autour du 8B bloc. Plus d’informations sur cette réalisation chez Grimper Magazine. Shawn Raboutou, currently in Switzerland, had a particularly magical last week with the first ascent of “L’Oeuvre” in Bouddha crag up to Martigny town. Shawns estimates the grade of this route between 8c+ and 9a. The crux is around 8B boulder. More in French on Grimper Magazine. Then Shawn continued with the first repeat of “Foundation’s Edge” 8C opened by Dave Graham in 2014 in an impressive roof located at Fionnay. 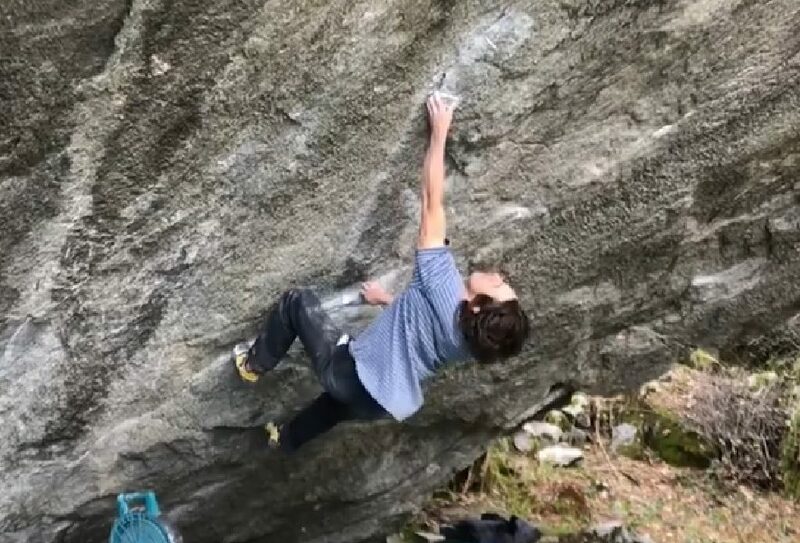 Yesterday, always on fire, he striked again with the first ascent of the low start of famous « Off the wagon » in Val Bavona. Shawn proposes 8C+ for this problem which is becoming the hardest boulder of the country. This link shares an insane first physical move from a gaston to a sidepull, followed by an akward hand and feet sequence for getting prepared to the stand start (watch the video up). 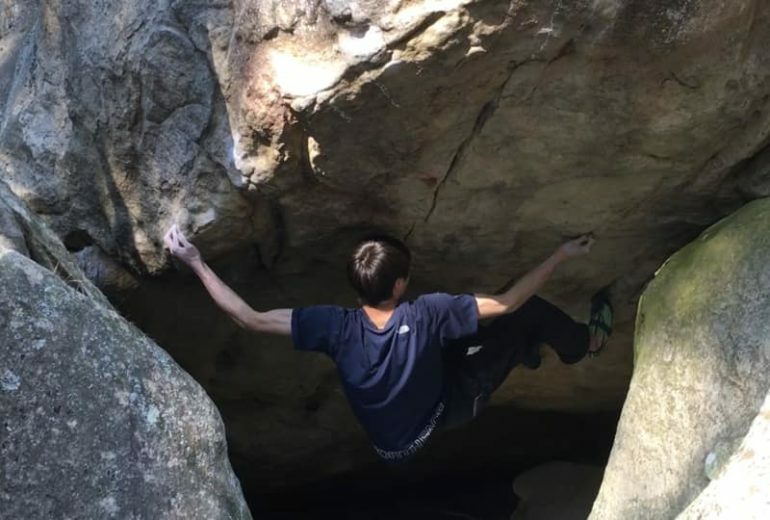 It’s simply the hardest bouldering proposition of the country, « The story of 2 worlds low start» in Cresciano is quite downgraded now after new sequences and thoughts of other climbers who did some ascents. « Off the wagon » is Shawn’s second 8C+ ascent after his repeat of « Creature of the Black Lagoon » in RMNP in September. He also did ‘The Finnish Line » 8C/C+ this summer in Rocklands. We hope that Shawn will soon take advantage of this amazing shape to put his harness again and to try to finish « First Round First Minute » in Margalef, a project he attempted this Spring which should be again in his mind, like his buddy Daniel Woods.